Hello!, In this article I will point out some of the main reasons why you should start your own blog. I really hope that the list below will encourage you enough to take an action. 1. Blogging is Easy: Yes. Blogging is actually really-really easy. The hardest part is setting it up but I’ve fully explained in one of my article. Note: If you are able to write emails, then you are also able to run a blog. With WordPress, you don’t have to deal with any website creation or HTML that is time consuming and boring. The only thing you need to do is customize your blog with themes, add some cool plugins and write content. Once you get the grip of it, you will know exactly what to do. If You Know a bit about html (hyper text markup language) or a professional you can use blogger (blogspot). 2. Google Loves Blogs: When your blog is ready, Google crawls your pages and it will be listed on Google search. It means you will start receiving additional visitors from the search engines. Isn’t that great? Search engines help to bring new people to your blog that can become your new friends or future business partners. 3. Blogging Helps Other People: You can spread your information and knowledge through blogging. Heck, you can even help other people with specific problems. Let’s say you have blog about “mother care”. There are many women out there who are looking for help/solutions/ideas to raise up their children. Your knowledge or advice could be essential and very helpful. 4. Blogging Makes You a Better Person: Having a blog will surely make you a better person. Why? Well, blogging obviously improves your writing skills as well as communication skills. You will start thinking more intentionally about who you are and who you want to become. Furthermore, when you send a job application, many employers look for employees who have blogs and write openly about their life and opinion. So it would be a definite “plus” for you. 5. You Can Make Money with Blogging You must have been heard or seen people who are making a lot of money by just blogging. Yes, it’s possible to monetize your blog. It takes time, but once you have enough readers you will start making some small, yet passive income. When time goes by, your traffic numbers will increase as well as the income. I’m not only talking about some few hundred dollars a month, many people earn their living from blogging. I remember when my friend who invited me to blogging created his first blog that had almost 300 unique visitors per day at the end of the year. He spent many hours creating blog posts and adding new fresh content and later sold it for $3900 and it was his first money ever earned on the Internet or as an entrepreneur. In fact, I’m still very proud of him and that’s the point where things started for me. 6. Self-promotion and New Opportunities: When you have a blog you basically have a “tool” or a “channel” to promote yourself or make you look like an expert. You’ll be amazed how many people start to respect you and I know many cases when employers actually contact blog owner directly to offer working positions or joint venture opportunity. This will open you a lot of doors that you might have not been aware or dreamed of. 7. Use Blogs To Stay in Touch: Active people tend to have less time to sit on Facebook or any other social “chat-room”. Again, blog can help you to keep in touch with your friends, colleagues and relatives. They can easily read everything about your activities, ideas and success through your blog. Be wise and use this as a communication tool. 8. You Can Make World a Better Place: When you have a blog, you actually have a voice. This means you can spread out all the things you like or don’t like. And those things can help you to change the world. You have probably seen some blog articles or posts that have gone viral through Twitter and/or Facebook. Once they do that, they will get a lot of attention. 9. Blogging Can Become Your Hobby: If you have too much free time and you are constantly browsing on the Web then you should really consider starting a blog. 10. 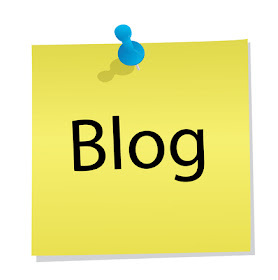 Blog Can Help To Grow Your Business: Does your company have a blog? If not, then you are missing a lot of it. Blogs can impart a lot of things about your company. For example, your potential clients can read interesting stories about your company success, ideas, strategies and even new products that might turn them into regular paying customers. That’s a huge opportunity that lot a of small and big firms are not using. Companies who blog have 97% more inbound links (which means more traffic and visitors). 11. Blogging Helps to Improve Writing and Argumentation Skills: Back to the time when I was in college, my grammar, communication and argumentation skills were really poor. But these are very universal and necessary competences in everyday life and also in professional career. These are the main reasons why you should start a blog. If you have any other reasons dont hesitate to add it using the comment box below.